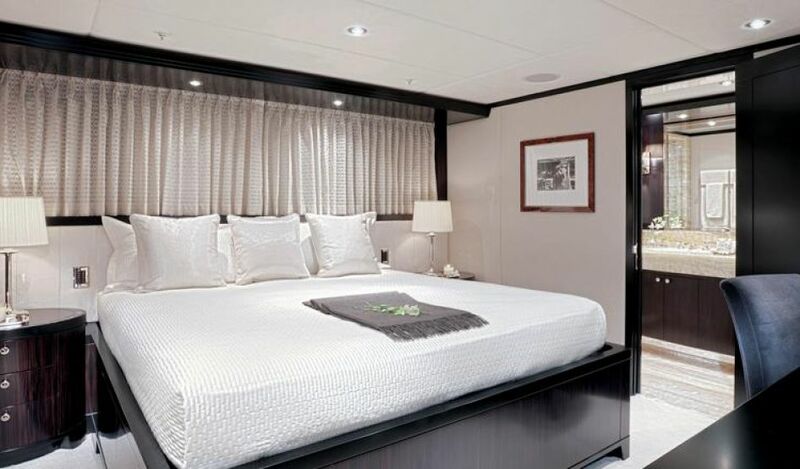 The epitome of cool, the sleek and sophisticated CARPE DIEM has arrived on the international charter scene. 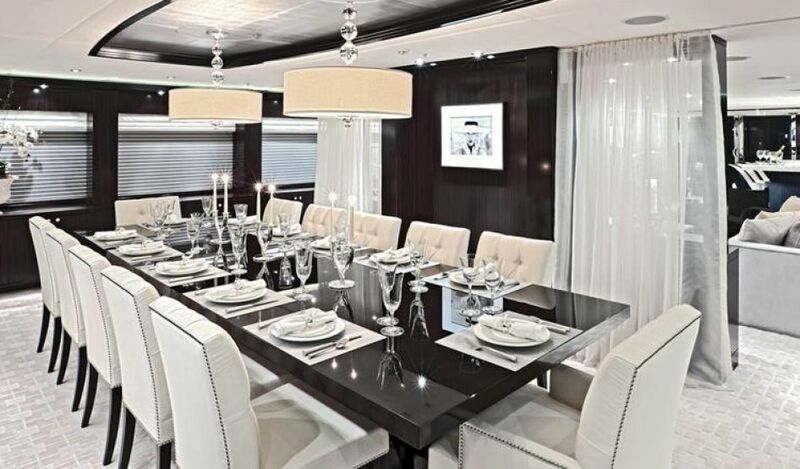 Like the former Carpe Diem II (150ft), the dramatic interior was designed by Carol Williamson & Associates showcasing the owner's preference for dark woods with light carpet and furnishings. The interior color scheme is perfectly complemented with striking photography throughout. Outdoors, the decks are huge with spacious seating on the main aft deck and alfresco dining on the skylounge aft deck which also boasts a full width stern settee. The sundeck has seating under the hardtop and a large wet bar with 6 stools. 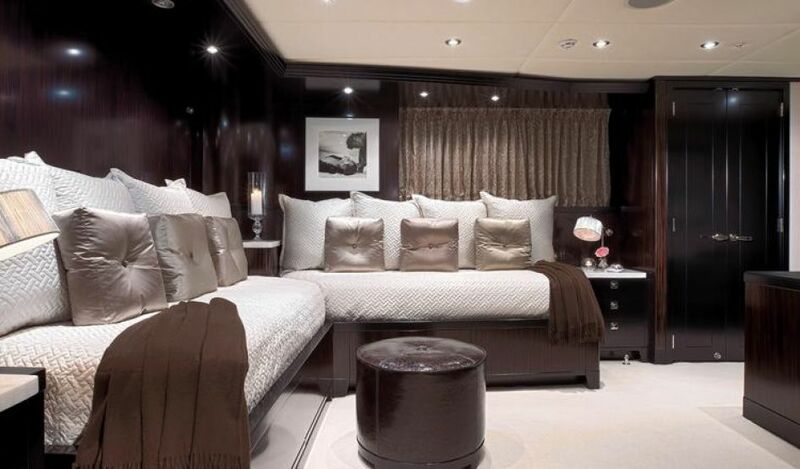 The Jacuzzi forward has a large sunbed and 2 generous settees port and starboard. Seize the day!